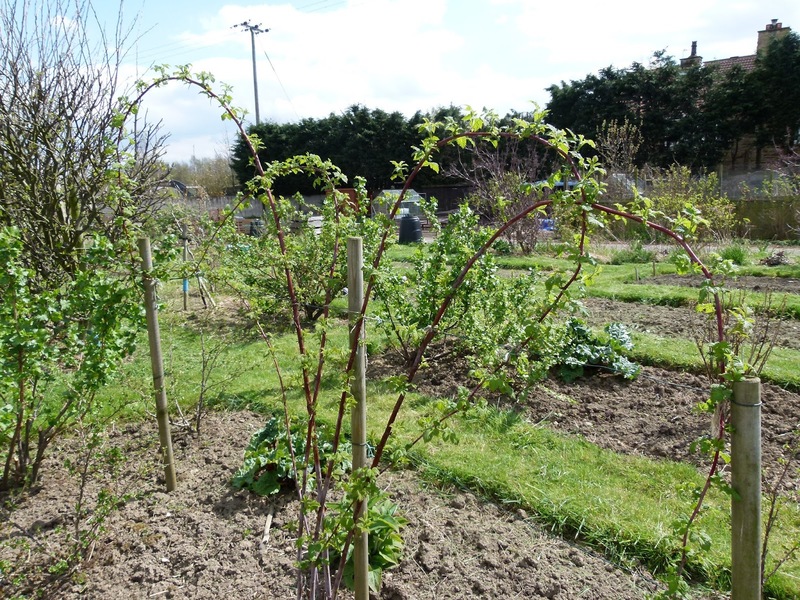 Last December we planted a row of new raspberries - described in Martyn's blog here - to replace a row of canes that unexpectedly all died. We originally had three varieties - late fruiting Glen Magna, mid season Glen Ample and early fruiting Glen Moy. The early variety never really did well for us both in terms of fruit production and cane growth so we decided to replace the canes with just two varieties. We stuck with Glen Ample but decided for a change of late variety and chose Tulameen. (Interestingly both Martyn and I came up with Tulameen independently after researching the varieties on offer). The new canes have all taken and are growing well. 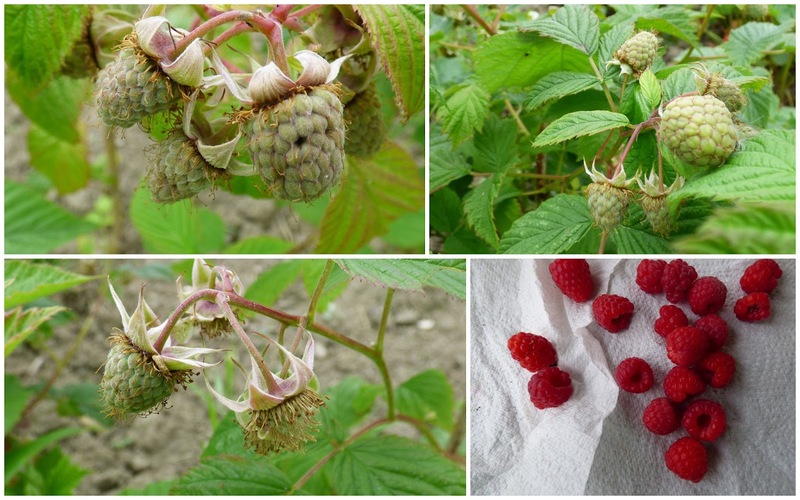 As they had been cut down before shipping and as summer fruiting raspberries grow on wood produced in the previous year we didn't expect any fruit at all this season but we are picking a smattering. The important thing is that they look to be producing some good growth which will hopefully give us fruit next year. I'll completely cut out the canes that were produced last year after we finish picking our expected meagre supply of berries. 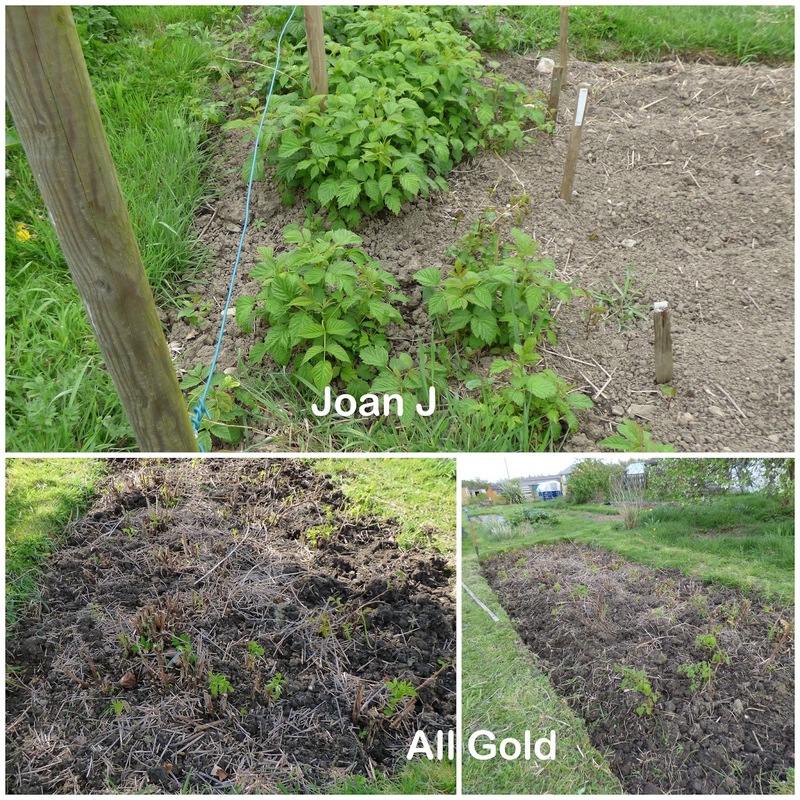 We have two varieties of late autumn fruiting raspberries - All Gold a yellow variety and Joan J. These are fairly old plants that have been producing fruit for a fair number of years. Autumn fruiting varieties produce fruits on new canes but will also produce some earlier fruit on last year's canes. For this reason some people cut out only half the old canes in early spring leaving the rest to fruit before cutting them out completely. We have already picked one or two fruits from bits of old canes that had been accidentally missed when cutting back this year. The new canes soon grow and produce quite a dense thicket of canes which I like to thin out. I take out any spindly weak looking canes and thin out any that are growing very closely together. The before and after photos maybe don't look different but they certainly do when your head is stuck under the leaves. An added problem with our Joan J is that there is a bindweed problem in that area and so I have to spend a bit of time freeing the canes for the bindweed's stranglehold. I actually removed about two barrow-loads of the stuff which will no doubt regrow as some of the roots are entangled amongst the raspberry roots and impossible to remove. 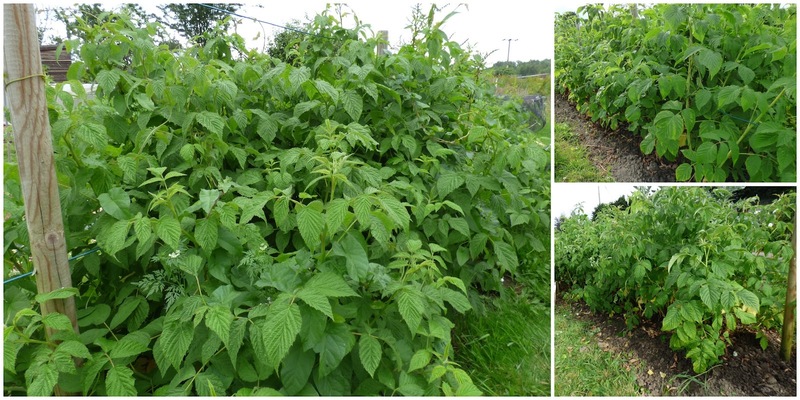 Our third type of raspberry is Glencoe which grows entirely differently. 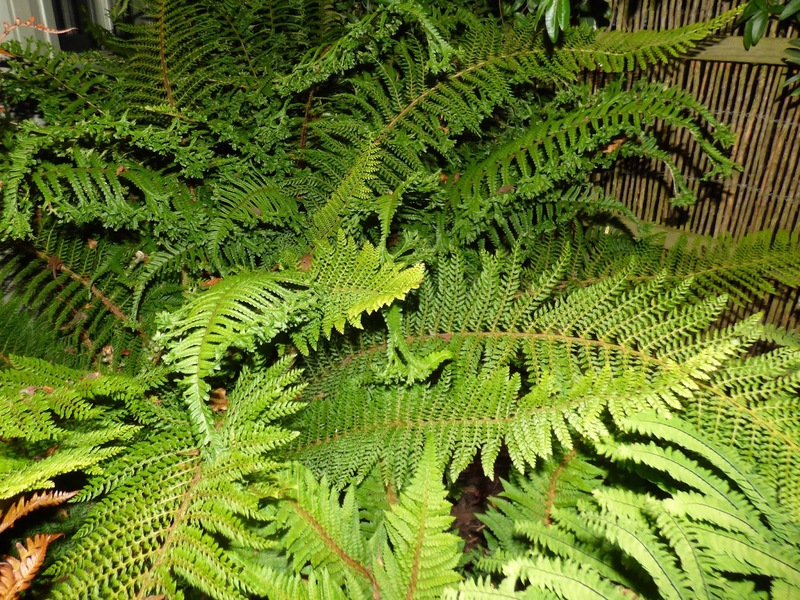 We planted just one plant which has now formed quite a large clump. It grows in a similar way to tayberries and blackberries. It fruits on the previous years' canes, (Like blackberries I guess it would also fruit on old canes too if these were left to grow but then the plant would get out of control). I prefer to cut out all the fruited canes when they have finished producing. In the photos above you can see some very tall upright canes - they grow up to 2½ metres/ 8 feet tall - these are the canes produced this tear. As you can imagine left to its own devices Glencoe would, like a blackberry, become rampant especially as, like a blackberry, where the tip of the cane meets the soil it roots. Thankfully the canes are thornless which makes pruning painless. Rather than shortening the canes as I have read some people do I bend them over and train them on wires. This is also supposed to promote better fruiting. Whether this is correct or not we certainly gather a good harvest; last year we picked just over 2.6 kg of fruit. 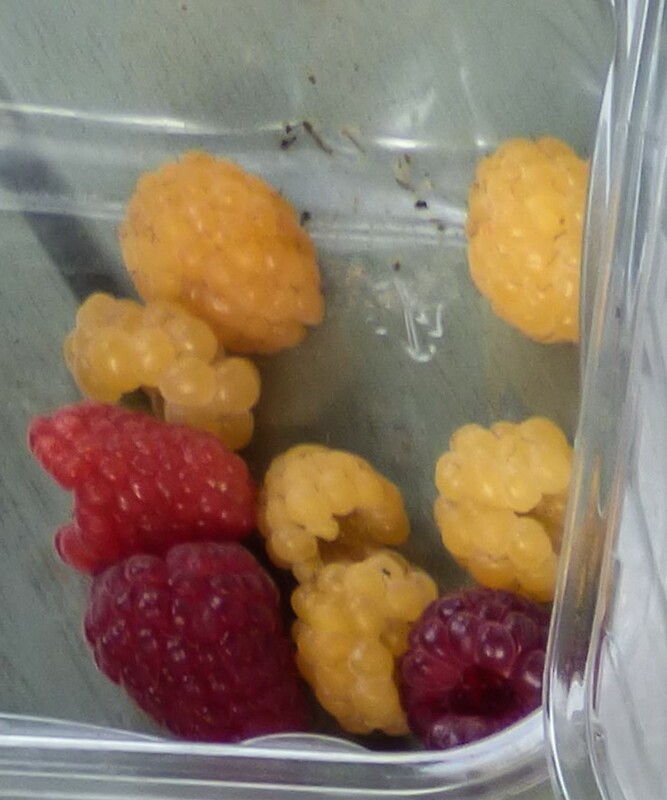 The purple fruits are smaller than 'normal' raspberries but have a good flavour. We have just picked our first lot of berries from the sunny side of the plant. The shadier side is a little slower to produce ripe fruits and so in a way extends the season. Last year we picked fruit on every visit to the plot over a two month period and what's more the bees can't get enough of the flowers. Some plants have developed tall strong stems to lift their leaves and flowers up to the light but others have developed other tactics. 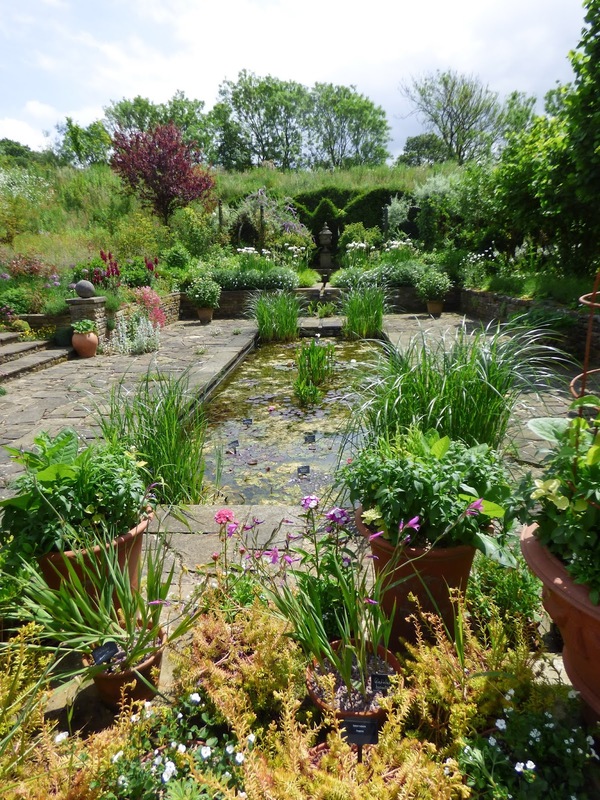 Some plants with weak spindly stems will find a suitable host and scramble or climb up towards the light. Not all of these, however, choose to climb in the same way. Some cling, others weave, some twined, others use crampon style tactics and then there are those that just need something to lean on. 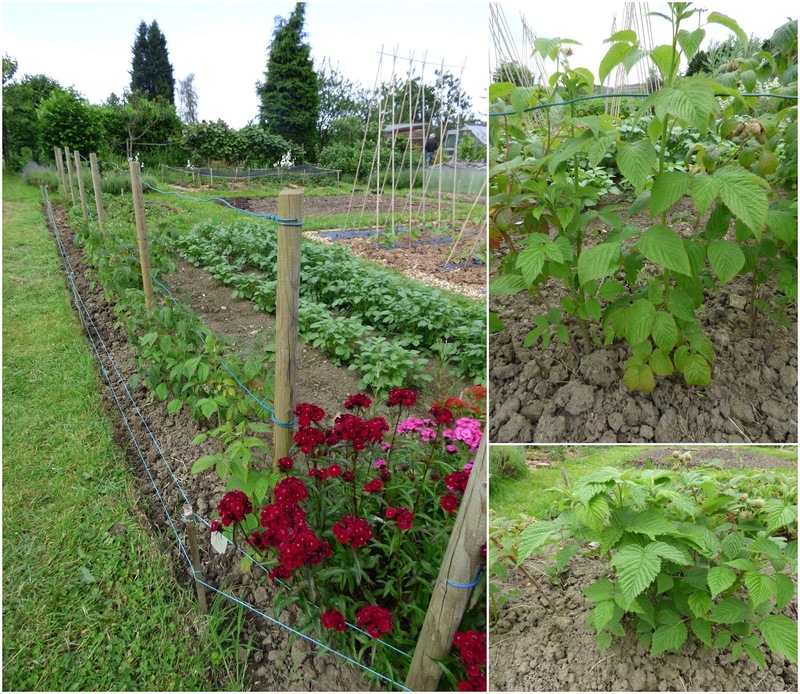 When we grow climbing plants, either as ornamentals or food crops we need to give them the right sort of support. 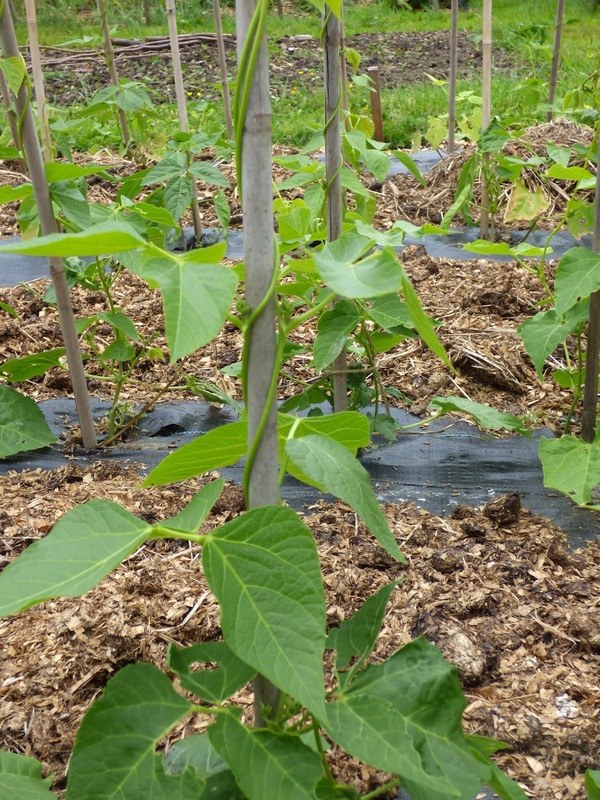 Runner beans will twist their stems around any upright. 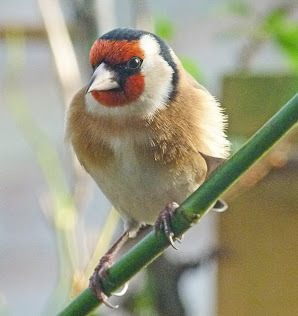 For this reason most gardeners train them up bamboo canes. They may need a little encouragement at first and sometimes decide to stray into a neighbouring beans area and wind themselves around the other plant on their upward journey. 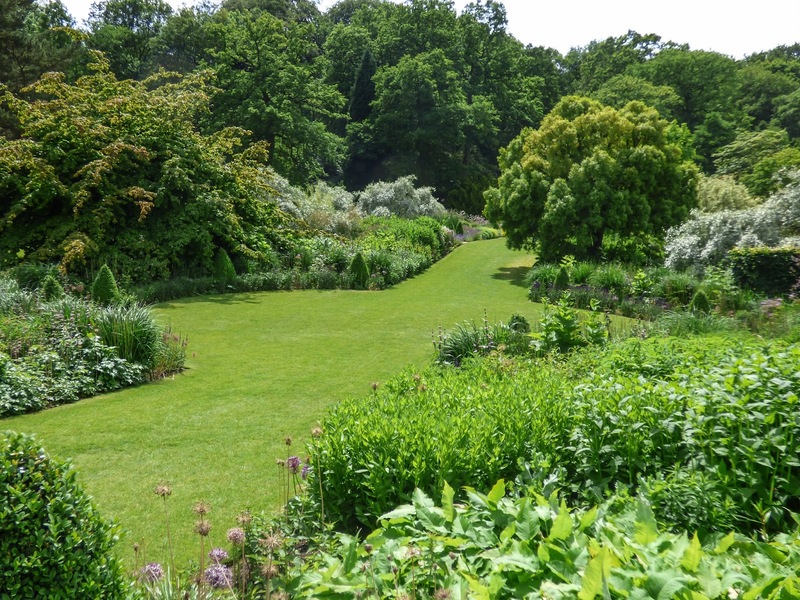 Runner bean plants always wind in an anti-clockwise direction. There is general disagreement as to why this is, some say that the stems follow the direction of the sun and that in the southern hemisphere the stems wind in the opposite direction. 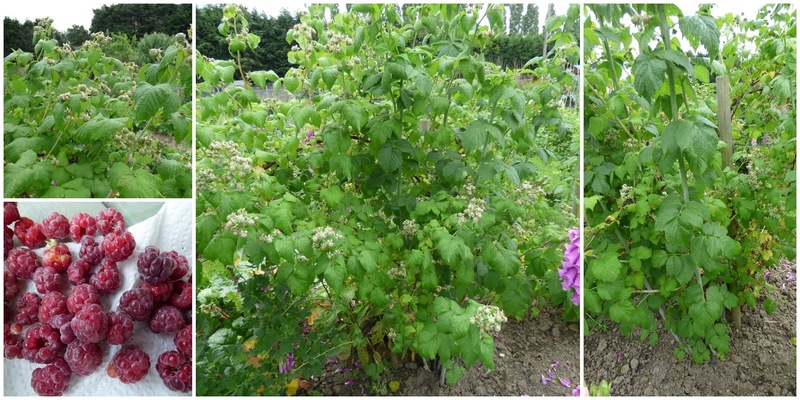 I read that someone in the UK said climbing French beans climb clockwise but our Cobra beans definitely curl anticlockwise as does the dreadful bindweed that had a stranglehold on our autumn raspberries. Can anyone in the southern hemisphere confirm whether out not their beans twine clockwise. 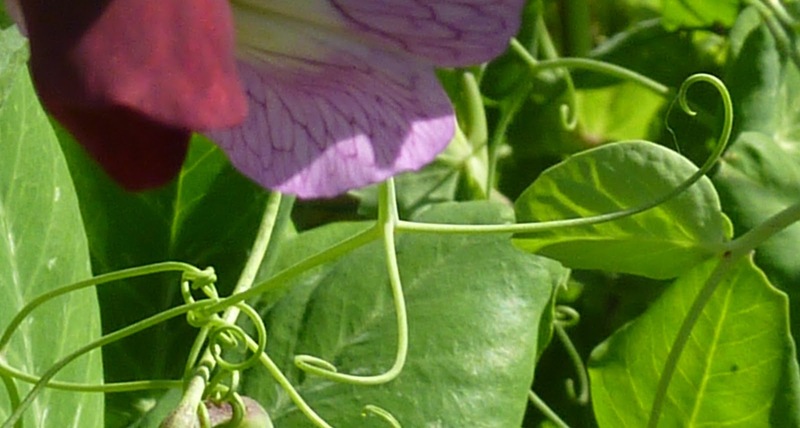 Peas and sweet peas on the other hand send out tendrils that search out something to cling to. Having located something the tendrils will attempt to take hold by curling around the object. (It's amazing how quickly the tendrils react, try placing a twig or stick against an unattached tendril and watch it curl around it). This can only be achieved if the intended climbing frame is relatively thin. Bamboo canes are too thick so many gardeners will create a bamboo frame and attach strings or netting that the tendrils can catch hold of. A more natural climbing frame can be provided using twiggy branches. Gardeners growing show sweet peas often remove the tendrils thereby denying the plant its means of climbing and so tie the plants to canes. Clematis climb in a similar way to peas except they don't have tendrils. 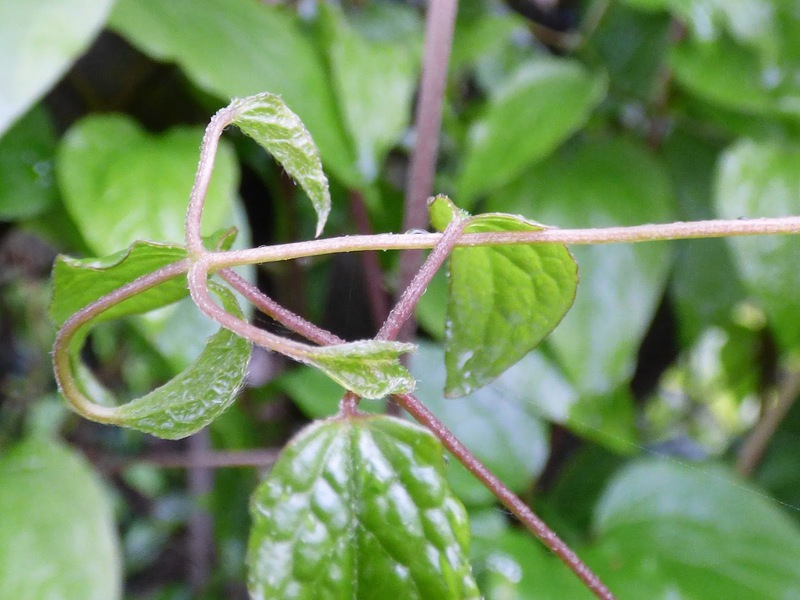 They use some of their leaf stems to wrap around fine objects such a wires, although they may need tying in to set them off in the right direction. Other plants like ivy or climbing hydrangeas use special root hairs. These form when the stem meets a suitable surface. The plants excretes a glue like substance with which to stick itself to the surface and then the tiny root hairs worm their way into any tiny gaps in the surface. Once the root hair penetrate the surface they lock themselves firmly in place. In effect with little need for encouragement these plants will scale the heights of most upright surfaces. Finally there are the shrubby plants that we call climbings but that don't naturally climb. 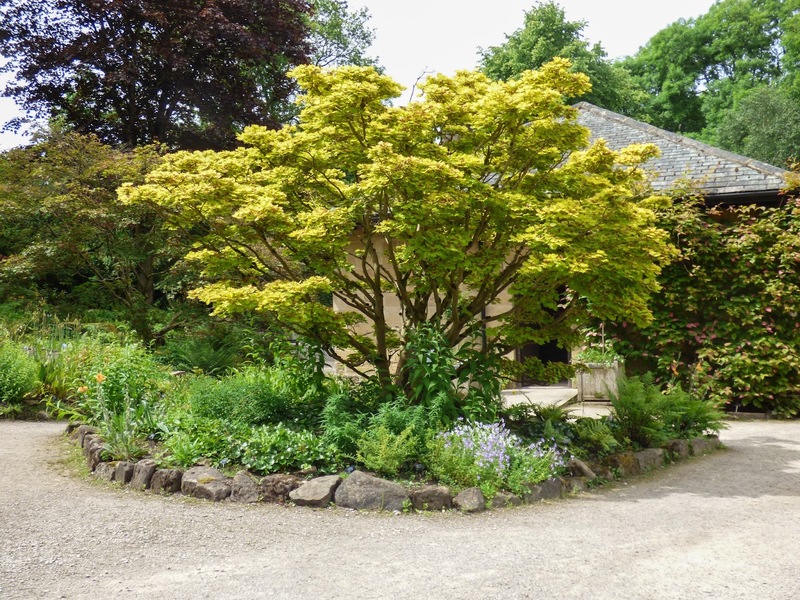 This type of plant - that is often also some sort of shrub needs training on and tying onto some sort of structure. 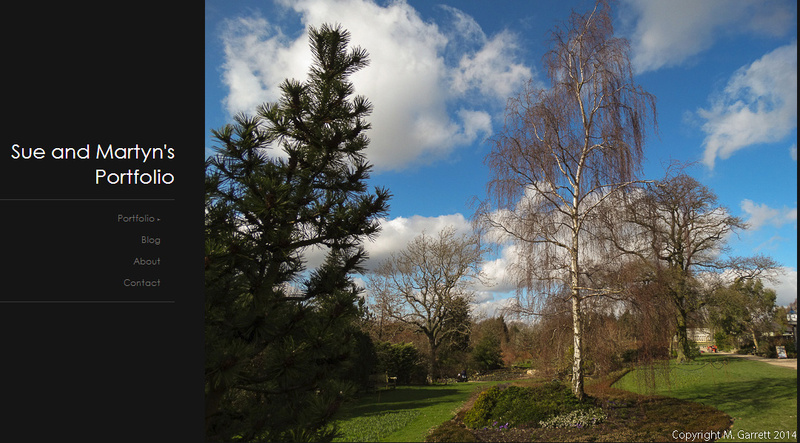 It often also needs pruning into shape. This group of plants includes climbing roses which links me nicely to a request. We want a couple of climbing roses for our coldframe courtyard. We are looking for single roses with good perfume that are fairly disease resistant and not too vigorous and also a white variety for the white and blue birder, Any suggestions? The title of this post is a bit of literary license as we have been harvesting bits and pieces in previous weeks. 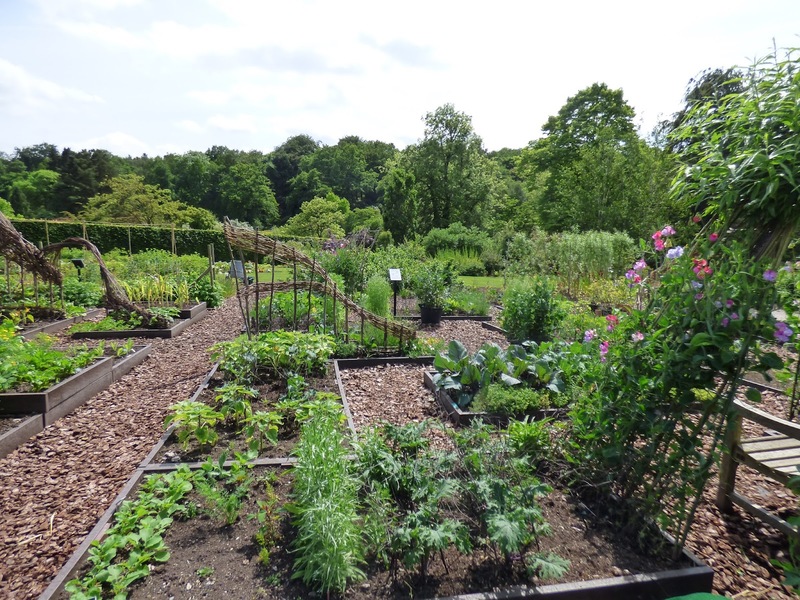 Last week however, seemed the first week when we came home from the plot with a box of produce making it feel like the real start of harvest time - the point when planting starts to give way to picking. One harvest was unplanned and the result of our early potatoes being infected by blight - I posted about it here. We would maybe have waited a week or so before digging any potatoes but seeing as some of the Winston plants had no tops left with which to feed the tubers we dug one and had the first of our new potato crop. We have been harvesting the autumn planted onions for a couple of weeks or so now. After last year's failure these have been a resounding success. Even the red onions which can be a bit temperamental have done well. Yesterday we came away from the plot with this. The spring cabbage and calabrese were from plug plants bought to replace our own seed sown brassicas that succumbed to club root. 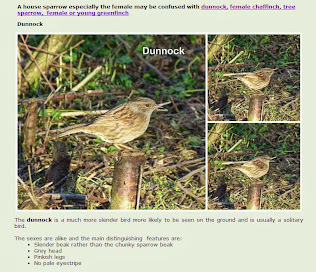 The year before it was wood pigeons! 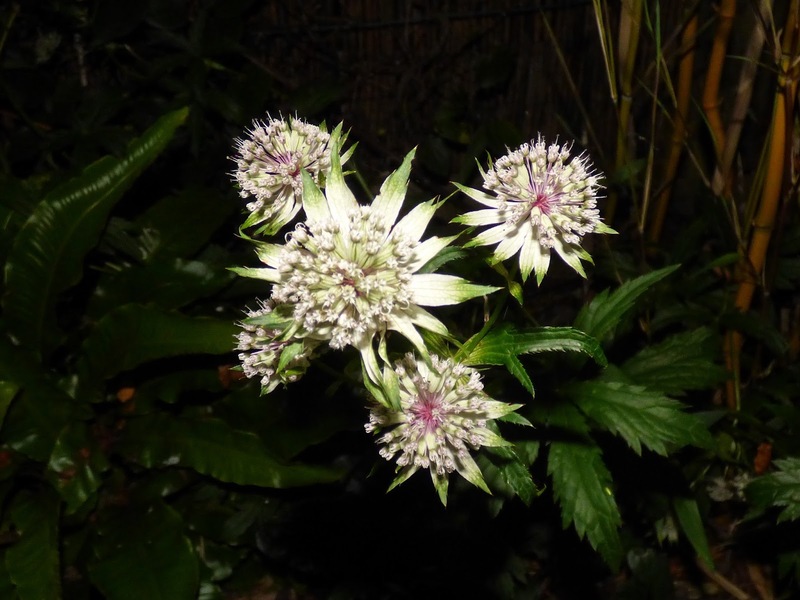 Martyn posted on our plug plants here. We've already had a few spring cabbages. Even though the slugs have browsed on the outer leaves peeling these away reveals a good clean heart. Some of the one above was made into coleslaw and some of the calabrese was also eaten raw with a salad. 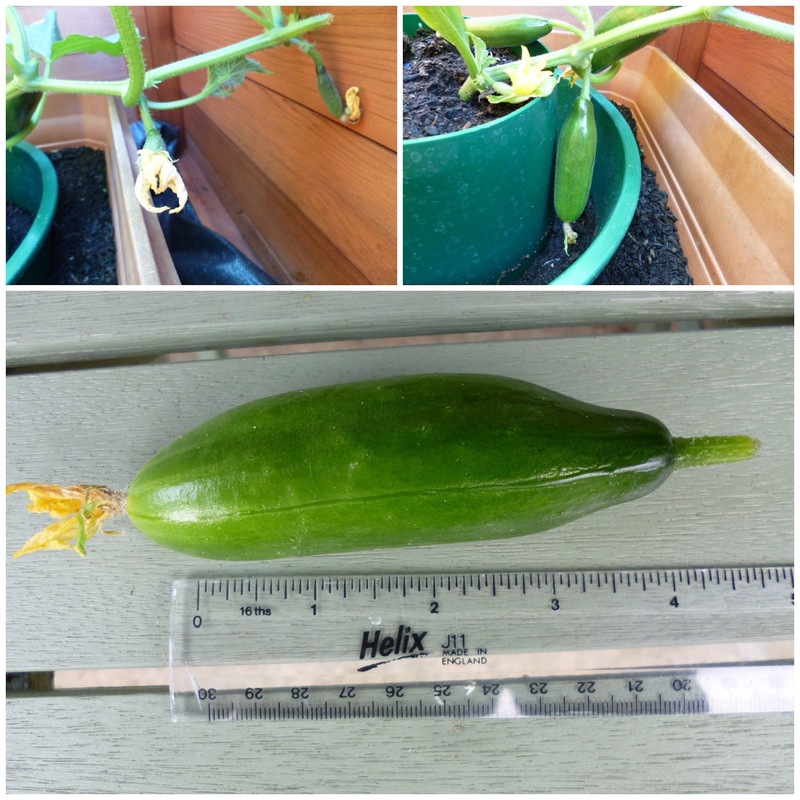 We also had our first Mini Munch cucumber - thanks to Jo for the seeds. Two plants are growing in a cold frame. We look set for a few more soon. The rest of the harvest was fruit. Picking redcurrants is a much easier task this year since Martyn constructed a mark 2 fruit cage. I now have an access door so don't have to creep under netting and also I can stand up without entangling my hair. The blackbirds aren't impressed! The strawberries are providing a steady supply of fruit. The berries are smaller now indicating that the plants are tired. I wonder why the blackbird prefers to sneak under the netting but leaves the un-netted berries alone. The alpine strawberries are also producing lots of ripe fruit. It's a mystery how I can think I have picked over the plants and then Martyn goes over the plants and finds more. Another favourite with the blackbird is the tayberry that is planted just under its favourite singing site. Hopefully there will be enough fruit to share. Lastly there are the flowers that I posted about here. 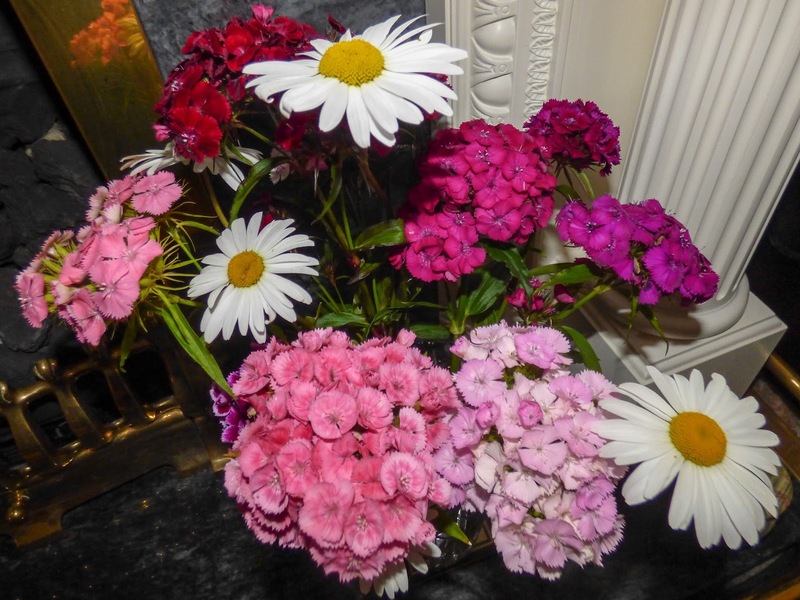 I bought some fresh sweet William seeds, some mixed colours of sweet rock and some ammi which I am about to sow to add to nest year's cutting material but at the moment it is sweet Williams and ox-eyed daisies to brighten up the house. This week I am linking to Daphne's Harvest Monday over at Daphne's Dandelions. 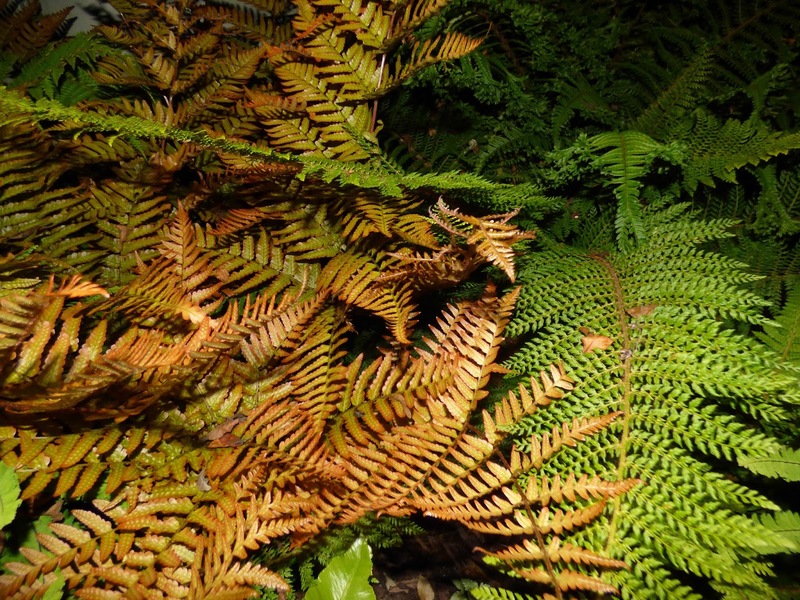 If you read Martyn's blog you will already know that we have been hit by the dreaded blight. Not us personally of course but our potatoes. It was bound to happen I suppose given the weather conditions. Blight is a fungal disease that affects potatoes and tomatoes. 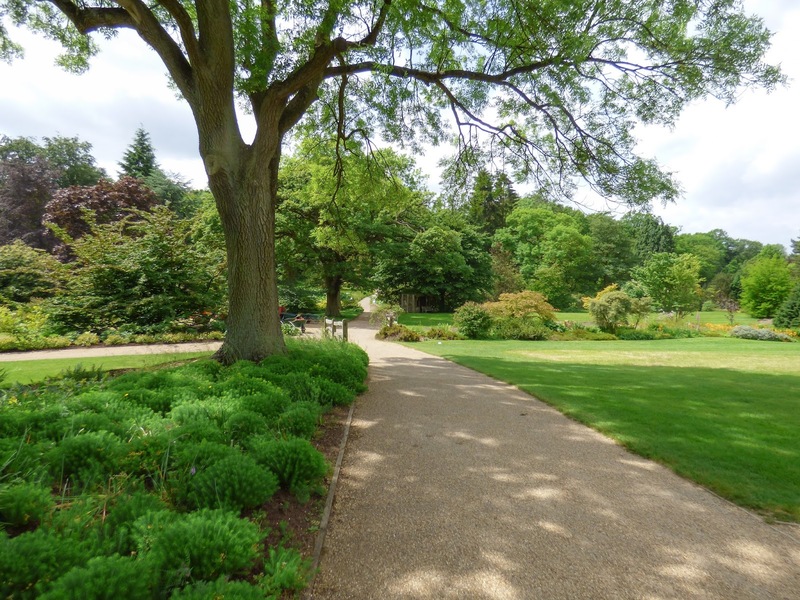 It is spread by microscopic spores that thrive in dull humid conditions. Blight is more likely to raise its ugly head during Smith periods. This is where the minimum air temperature was 10 degrees centigrade and for 11 hours there has been a relative humidity of 90%. 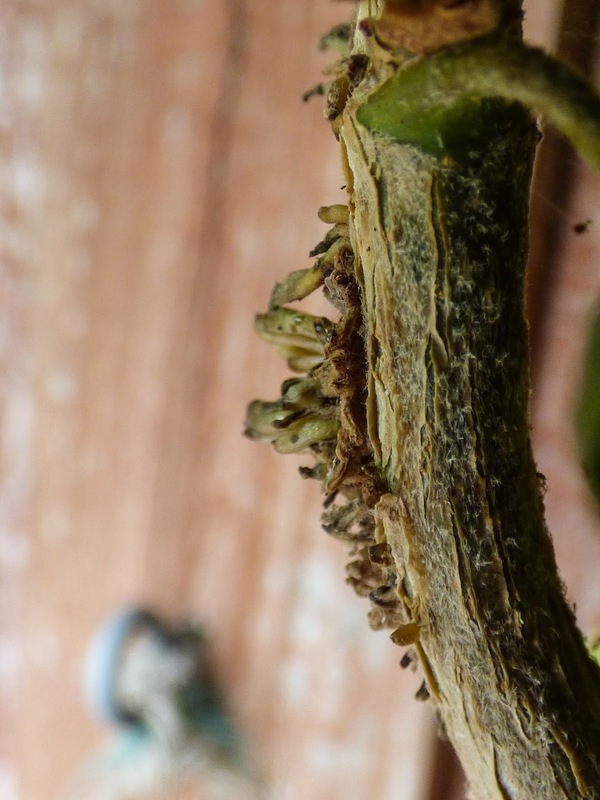 If there is a Smith period for two consecutive days then blight spores can invade. 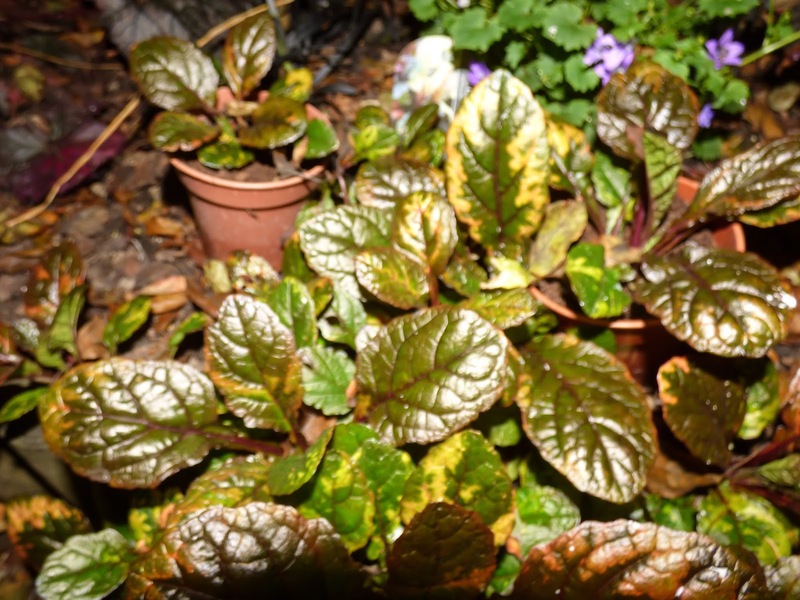 As you can see above the first symptom is the appearance of greyish patches on the leaves. From this point the infections can spread down the stems totally destroying the top growth before moving into any tubers that have formed. Blight is one reason why we don't grow maincrop potatoes and stopped trying to grow tomatoes outdoors. 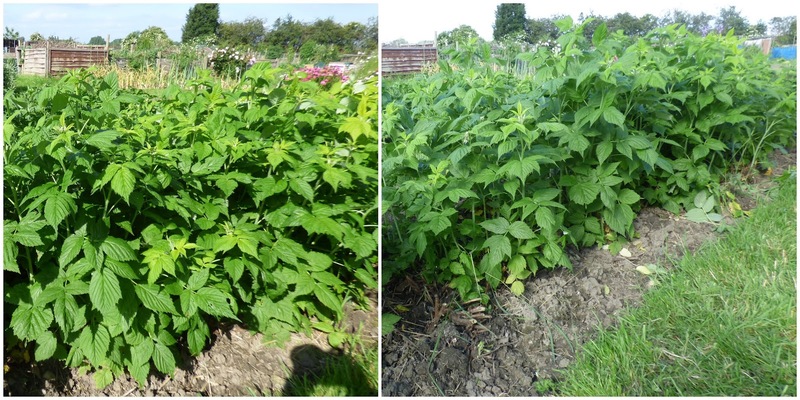 Usually if blight is going to strike on our plot it is in July and August which means early varieties of potato have managed to produce a crop before being struck down, however this year unusually blight has arrived on the scene early. The potatoes to be affected so far are the ones that we planted earliest. 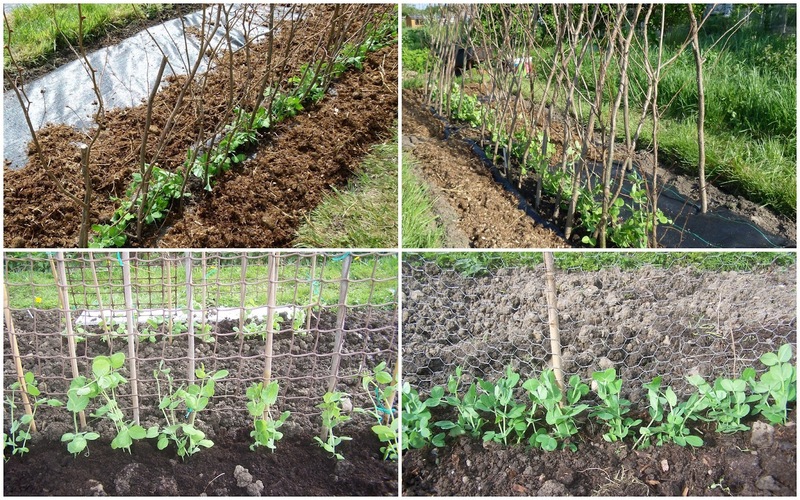 Below on the left are two rows (Rocket and Casablanca) grown through weed control fabric and 'earthed up' with straw. 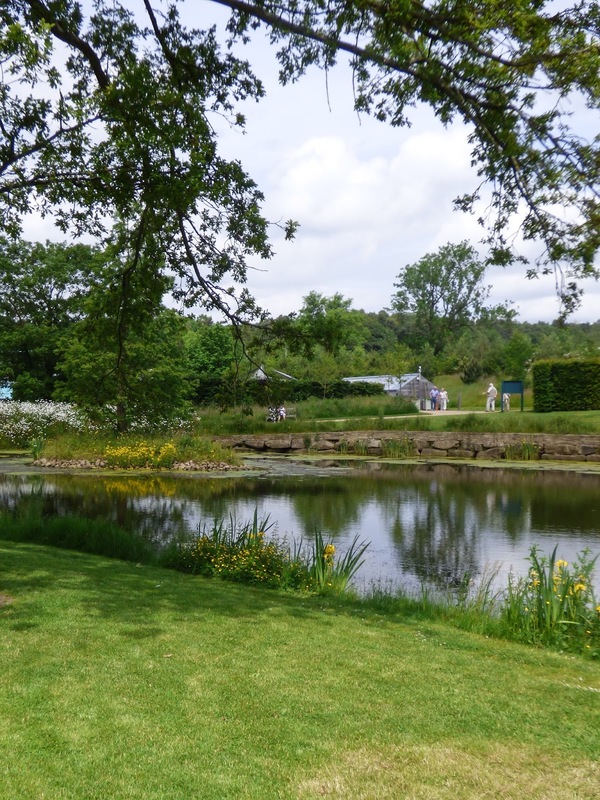 On the right are five rows (Rocket, Casablanca, Nicola and two rows of Winston) which have been grown and earthed up as usual. These two beds are about 60cm (2 feet) apart. The potatoes grown through the fabric have so far had fewer affected leaves but this could be a coincidence or because there are fewer rows growing close together giving better air circulation rather than because of the fabric. To try and cut down the spread of the disease I have removed as much of the affected plants material as I can. 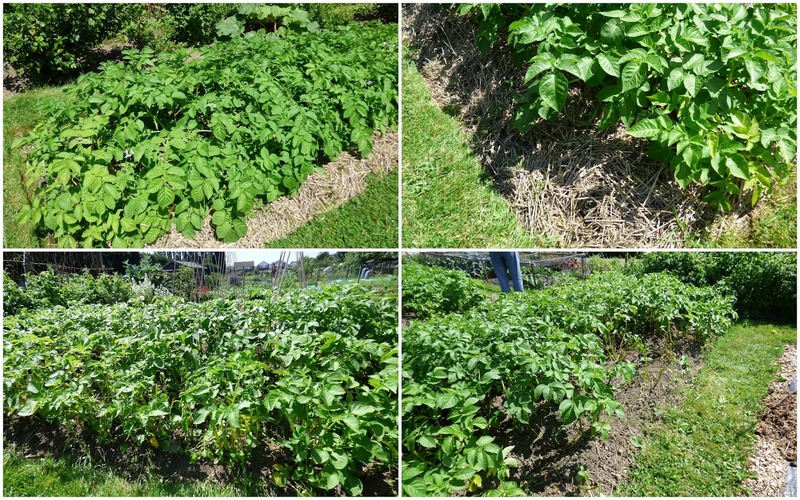 In the case of the potatoes under weed control fabric (above photos below) this was just affected leaves whereas in the case of the potatoes in the other bed some tops had to be cut down completely. As some of the Winston potatoes had no foliage left we decided to dig up a plant to see if it had produced a crop. So was there anything to harvest? It hadn't produced a huge crop but left us with some hope of some sort of harvest. 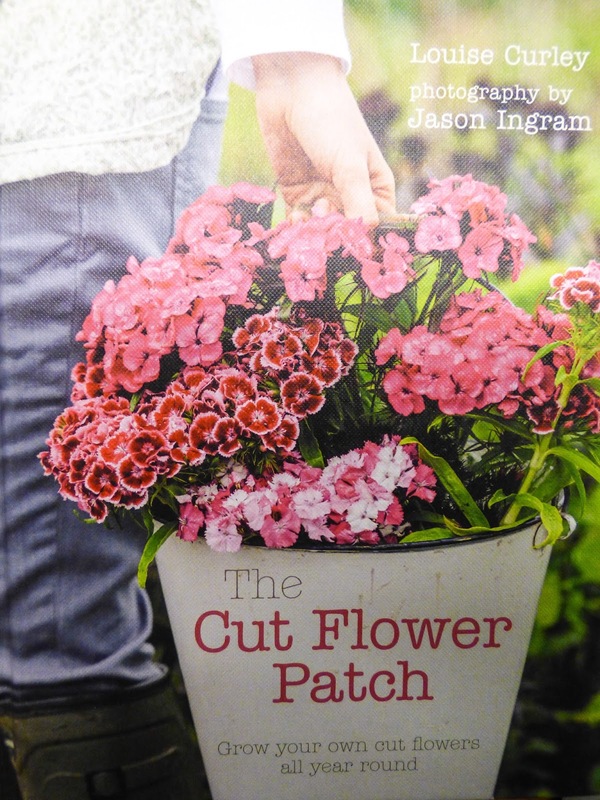 Quite a lot of my favourite blogs reviewed The Cut Flower Patch by Louise Curley. Every review I read gave a flowing account of the book and many followed up their review with a giveaway. I lost count of every draw that I entered. Time after time someone else's name was announced as the lucky recipient until eventually Snowbird over at Gardens and Wildlife drew my name. Even then it seemed that I was not meant to have a copy as the book went out of stock just before my name was sent to the publisher. I was offered a substitute but I decided to wait until a new batch arrived and this month my copy arrived. I haven't had a chance to read the whole book but have enjoyed what I have seen so far. 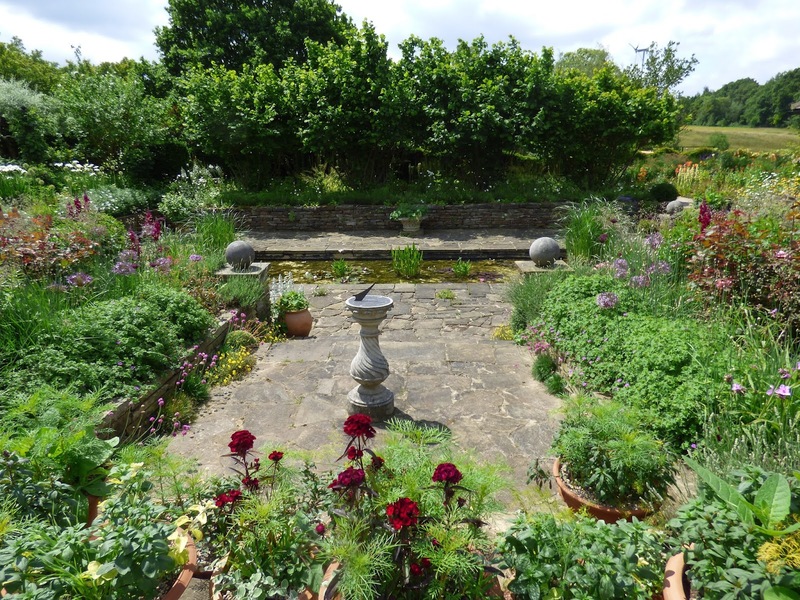 From the cover photograph I think Louise has been sneaking onto our plot. 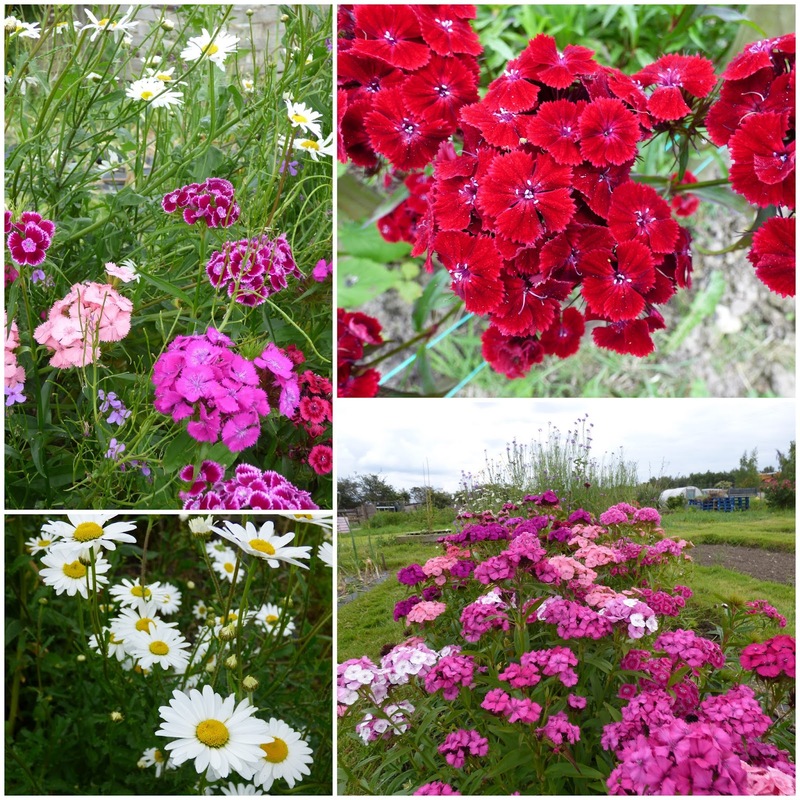 Our sweet Williams are at their best. These are biennials flowers and as I am picking the ones on the plot next year's plants are at the seedling stage in the garden greenhouse. I sowed wallflowers at the same time - one lot for the plot and a shorter variety for tubs in the garden. 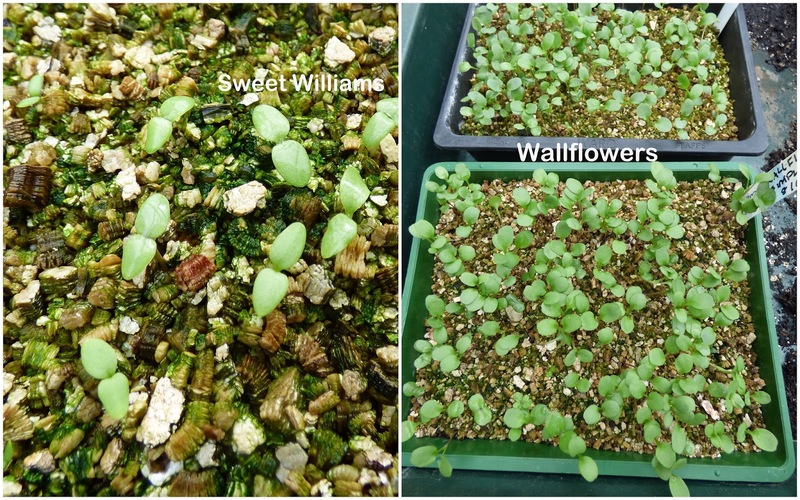 The wallflowers have germinated better so I wonder whether I should buy some fresh seed. The sweet Williams were last year's seeds. Last year I also grew sweet rocket which is just going over but gave a colourful display. 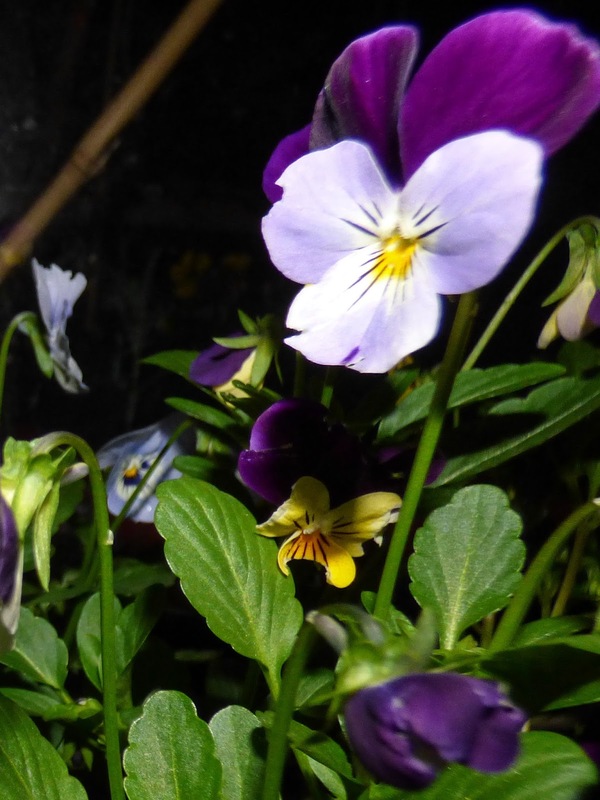 It was a purple variety which I hope will produce seeds but I am thinking of adding a white variety next year. 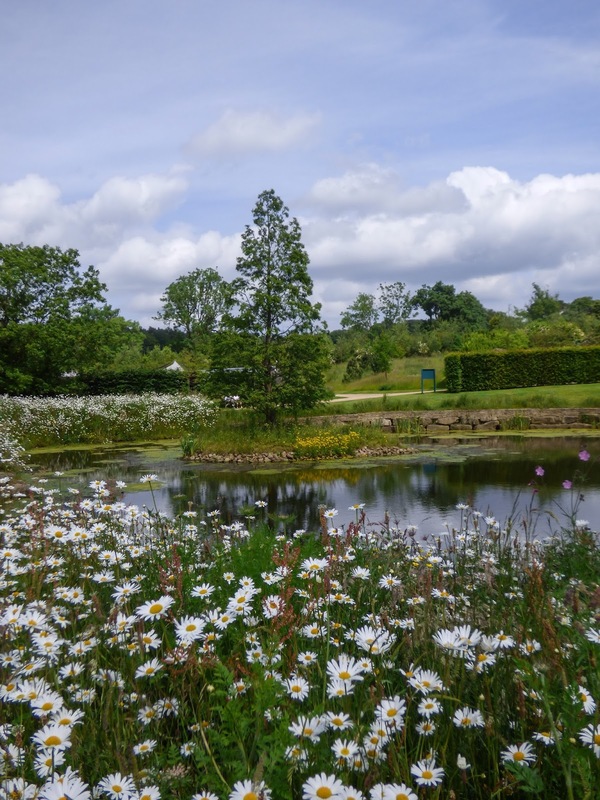 I also sowed ox-eye daisies which are flowering in many verges at the moment. I've always liked them so decided to have some on the plot. I'm hoping this will grow as a perennial. So at the moment this I can enjoy vases of flowers like this one. I'm also experimenting with annuals as last year's attempt at an annual flower bed was disappointing and full of weeds. I'm hoping for a better effect this year and will report back later. 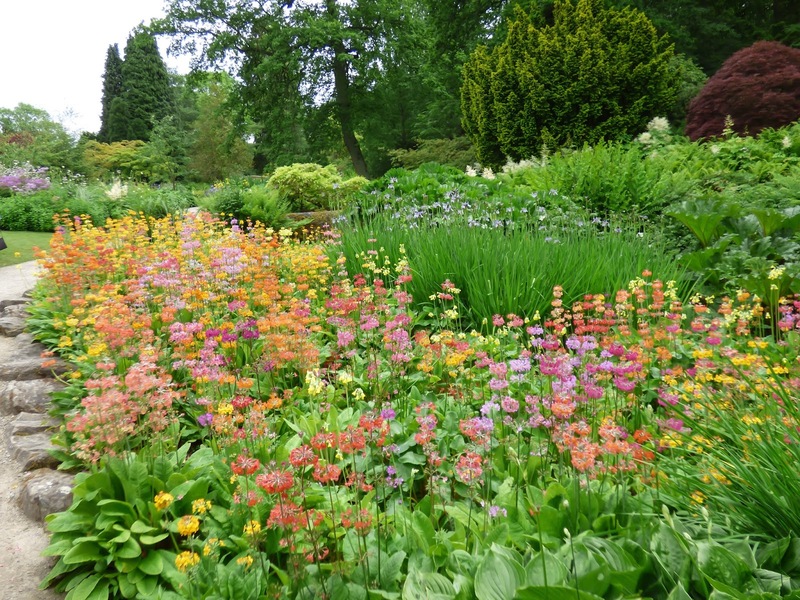 As we are renovating the rose border on the plot I may also add some perennials for cutting too. 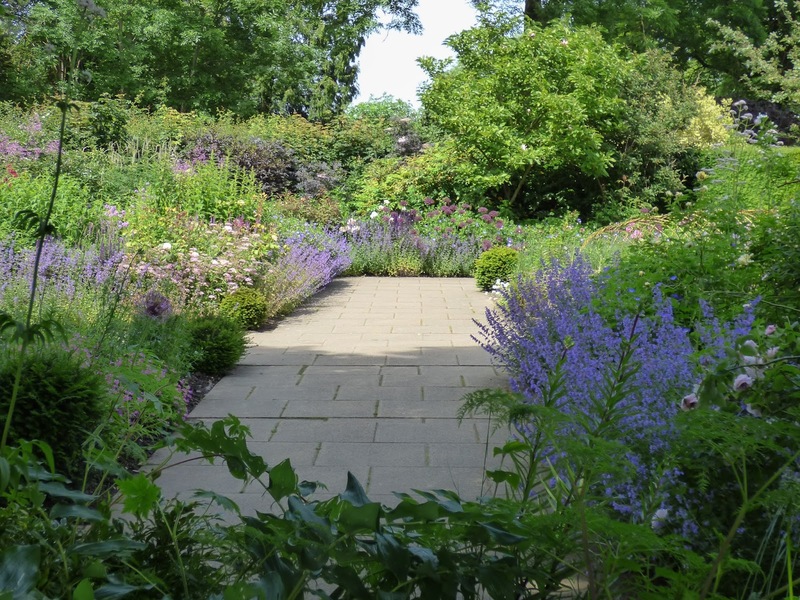 Just one thing though, Louise writes that larkspur is a really easy annual to grow and yet it seems to be the one that is causing me most of a problem being reluctant to germinate and when and if it does germinate it is slow to grow. 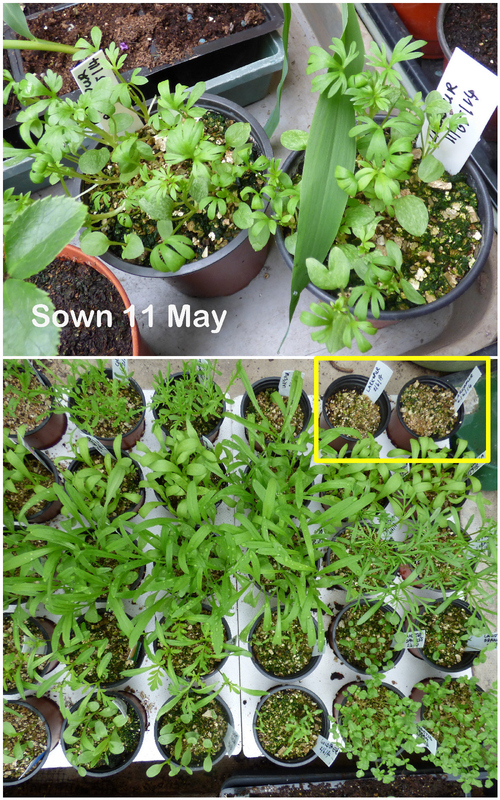 The seeds in the pots below were planted a full month after the top photo of the larkspur. The later sowing of larkspur is highlighted inside the yellow box. All these pots were sown at the same time. Is it just me that has difficulty with it?